CardFlip.com allows you to BUY Gift Cards at discounts up to 40%. CardFlip.com allows you to SELL Gift Cards for up to 92% of face value. 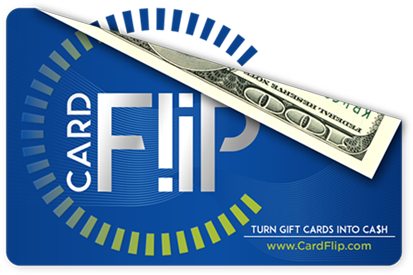 CardFlip.com is your leading secondary Gift Card exchange service to sell Gift Cards quickly for top market CA$H value and BUY discounted cards to your favorite brands, restaurants and merchants. CardFlip.com also has a team of customer service specialists to solve any problems and handle any questions you have. © 2016 - 2019 CardFlip.com LLC. All Rights Reserved.